Jane and Burt Boyar were married in 1954. He was a Broadway columnist and wrote articles for magazines, Esquire, TV Guide, New York, etc. 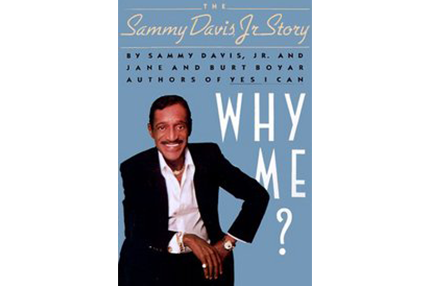 They worked together but only when they began writing their first book, Sammy Davis, Jr.’s autobiography YES I CAN did Jane finally agree to be credited as a co-author. Inseparable during their 44 year marriage they never spent a night apart until Jane unexpectedly died in her sleep in 1997. On November 30, 1927, Burton Anselm Boyar was born in New York City to Benjamin and Lillian Boyar. Since Ben Boyar was employed as the general manager of Max Gordon, who was one of Broadway’s most successful producers, Burt acquired an early appreciation for the theater and its mechanics. At the age of 12, Boyar was permitted to work as a radio actor and provided the vocals for characters on comedic dramas, comic book-based programs and commercials. Simultaneously, he was attending the renowned Professional Children’s School, an institution primarily geared towards those pursuing careers in the performing arts. Although Boyar did not graduate from high school or attend college, he was incredibly adept in English composition. 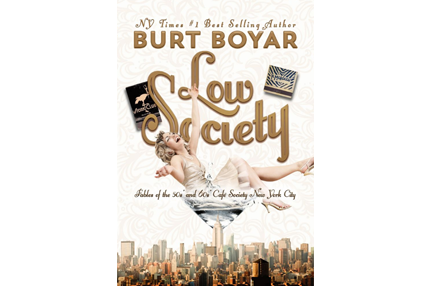 After his radio stint, Burt Boyar eventually found a niche to showcase his grammatical adroitness at a New York publicity firm where he wrote gossip news and other column features. Following months of successful commentarial work, he and a colleague soon began their own publicity business which would come to represent several restaurants around the city of Manhattan, the Carlyle Hotel and Hotel El Rancho Vegas in Las Vegas, Nevada. It was during that time that Boyar met a drama student from Finch College, a local women’s baccalaureate school, and took her out on their first date on Halloween 1953. Eight months later, on June 26, 1954, he married Jane Feinstein and they would remain together for the next 44 years until her untimely death in 1997 at the age of 64 from heart failure. It is no exaggeration to say that Boyar and his late wife were best friends whose love did not permit them, by his own account, to spend even one night apart. Beau Broadway was Burt Boyar’s solo journalism venture that became nationally syndicated via the Annenberg and Newhouse newspaper publishers. It was a daily column which presented interviews, criticisms and musings pertaining to the acclaimed New York theater. When he had contacted Sammy Davis, Jr. in 1957 in pursuit of a brief dialog session for another feature story, his inquiry was met with an invitation to dinner. That single evening meal multiplied into nightly discussions and the blossoming of a friendship that would last for the rest of the entertainer’s life. 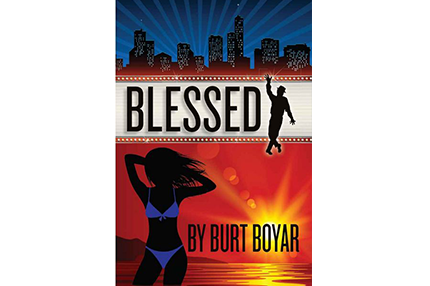 During one of their encounters, Burt Boyar agreed to write Sammy Davis, Jr.’s life story and, as a result, requested a year of absence from his Broadway column. Ultimately, however, he found that a year was not sufficient time to gather enough material for the autobiography so he chose to retire from his position. 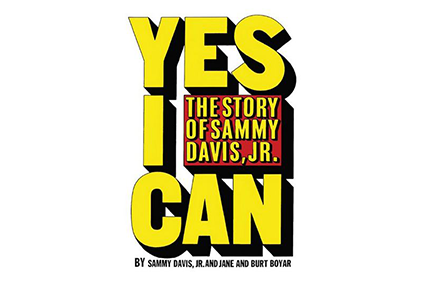 In the end, it would take six years to complete Yes I Can: The Story of Sammy Davis, Jr., an immediate bestseller which, at one point, even became a contender for the internationally coveted Pulitzer Prize. 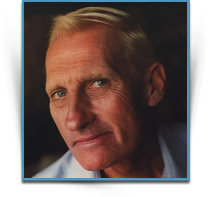 Over the following decades, the collaboration between Burt and Jane Boyar generated several notable publications, half of which pertained to the life of their close friend Sammy Davis, Jr.. Their 1989 work Why Me? was a formidable followup to the 1965 Yes I Can and eloquently expounded on the highlights and pitfalls of the entertainer’s career. 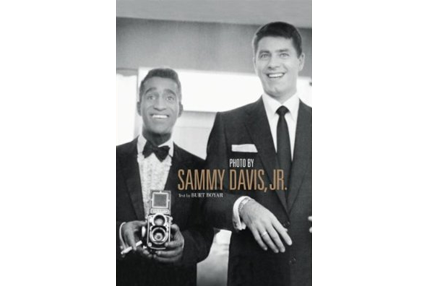 Sammy: An Autobiography, which was published in 2000, continued the Davis saga in its presentation of additional thought-provoking material not found in the preceding two volumes. Finally, in 2007, Burt Boyar spearheaded the release of Photo by Sammy Davis, Jr, a compilation of striking black-and-white photographs taken by the legendary performer himself. Although the book includes artistic depictions of relatives and strangers, much of the content portrays his equally larger-than-life contemporaries, such as Robert Kennedy, Nat King Cole, Frank Sinatra, Martin Luther King, Jr. and Marilyn Monroe. There are four Boyar books which are not related to their iconic friend: World Class, H.L. and Lyda: Growing up in the H.L. Hunt and Lyda Bunker Hunt Family, as told by their eldest daughter, Hitler Stopped by Franco, and Invisible Scars. 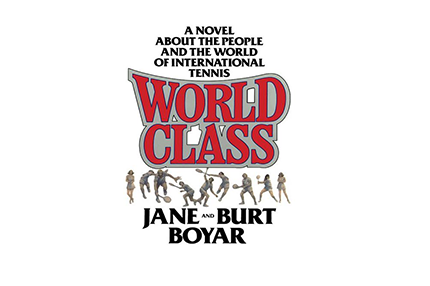 The 1975 fiction piece, World Class, whose plot is situated in the arena of competitive tennis, required Boyar and his wife to travel the world in order to follow the tours of Rod Laver and Ken Rosewall, who are both legends of the sport. Their two years of meticulous observation would serve as the inspiration which enabled them to offer a realistic portrait of the athlete par excellence. H.L. 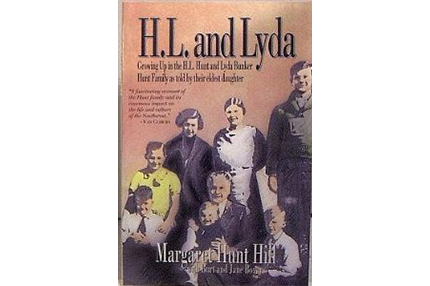 and Lyda is the memoir of Margaret Hunt Hill, the daughter of oil tycoon H.L. Hunt and his wife Lyda. In this 1994 read, Hill documents the rise of H.L. Hunt’s oil empire and the unflinching support bestowed upon him by his wife Lyda in addition to chronicling such family unpleasantries as her father’s infidelity and her brother’s mental illness. 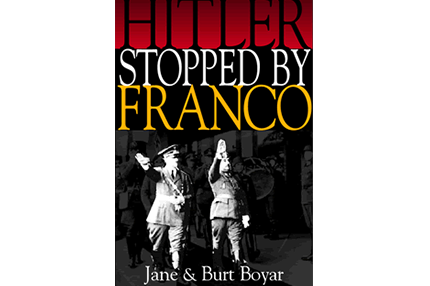 Two world dictators are the central focus of Burt Boyar’s 2001 self-published historical account Hitler Stopped by Franco which takes on the guise of a compelling novel. Within its pages a captivating narrative unfolds which illustrates Francisco Franco’s safeguarding thousands of Jews from Nazi concentration camps, Adolf Hitler’s futile quest for Gibraltar and the martial chess match they engage in during the latter's attempt to invade Spain. 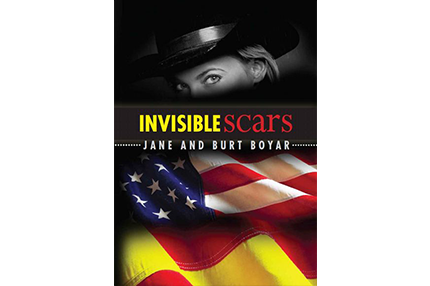 Finally, Invisible Scars, Jane and Burt's recently (2012) published novel chronicling the adulterous affair between a wealthy American woman and an affluent married Spaniard during the post Spanish Civil War era of the 1930s. During the period that the Boyars were writing Hitler Stopped by Franco, they were living in the Andalusian city of Marbella. They initially came to the beach-laden Spanish paradise in 1969 to spend time with friends over the Christmas holiday. However, what began as a brief winsome visit turned into a 28-year residency. By happenstance, the small house which they were renting belonged to the daughter of General Francisco Franco and, after making her acquaintance, they eventually became trusted friends of the family. It was this chance encounter that served as the catalyst for the creation of Hitler Stopped by Franco. And it wasn’t until the year 1997, when Jane Boyar unexpectedly passed away, that Burt decided to leave Spain and return home to the United States. However, instead of going back to New York, the city of his youth, he decided to adopt Los Angeles, CA as his new domicile because of its climatic similarities to his beloved Marbella. To this day, the acclaimed author still resides in the winding two-mile strip of L.A.’s Wilshire Boulevard, locally referred to as the Wilshire Corridor, the Golden Mile and the Millionaire’s Mile. Life inspiring, generation bridging, optimism. There is one tune that you could hear over and over. There may be a film you can see again and again. This is the book you will read and reread. A little blunt and dated, still you will not put it down in the middle and you will be reading it again soon. It is a book about tennis that those who abhore sport will love. It is a book about love that detesters of mushy love-stories will return to with pleasure. It dexcribes ideas, ideals, values and dreams. Characters create a strong sense of desire to identify with them. For more than 20 years this has remained the book that has influenced my values most and the only book I have read more than twice. Read it.. you will not read it only once. THE Guide for self-help and motivation! To HELL with TD Jakes, Ilyana Van Zant, and all those other so-called self-help quickbuck gurus. You want inspiration? READ THIS BOOK! When I was 14 and going to a hellish jr. high school and dealing with bullies and home problems, I checked this out of the local lie-berry and I felt that if the "Candy Man" could go through TENFOLD the hell I was going through and still become the King of his field by believing in what God had given him, then DAMMIT, so could I! I have managed to overcome most of my childhood difficulties, thanx largely to this book and Louis Armstrong's music for getting me thru those tough times! Read this and you'll see what I mean. - Andre M.
Sammy Davis, Jr. is One Cool Cat! One of the most candid, engrossing and important autobiographies of our time. - Maurice Dolbier, Book Editor New York Herald Tribune. I would love to hear from you. Please fill out the form below and I will get back to you as soon as possible. Thank you.